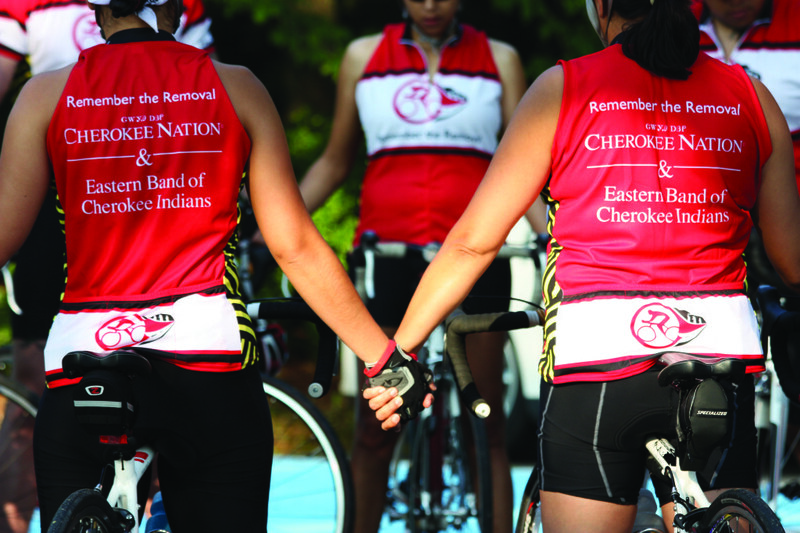 This is the ninth consecutive year Cherokee Nation members have participated in the ride. (The tribe founded the event back in 1984, and revived it in 2009.) The Eastern Band joined their western counterparts in 2011. Since then, it has become an integral part of historical, cultural, and physical education for the Cherokee people. The route follows the northern removal path—one of several making up the Trail of Tears, which affected at least five different tribes. It stops at important historical landmarks, such as Mantle Rock and Blythe Ferry, as well as the gravesites of those who died on the march. 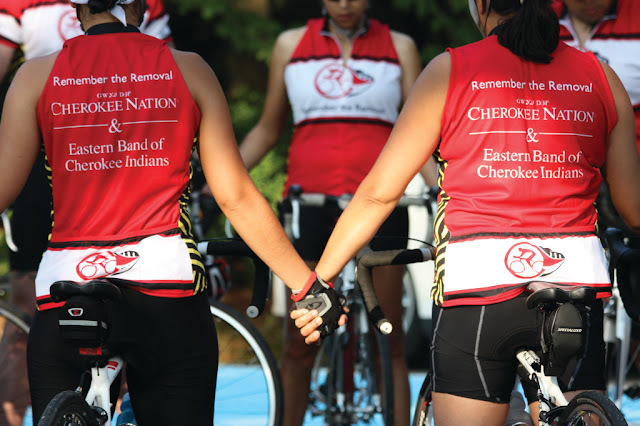 Team members wear matching kits, provided by the tribes, that sport meaningful designs. They might show the faded signatures, for instance, of the Cherokee National Council that originally signed a petition in protest of the removal. The jerseys are red, black, yellow, and white—traditional Cherokee colors often found in mound artifacts. One copper-colored side panel features seven stars to represent the seven removed clans. Another panel shows only a single star, to represent those lost along the trail. 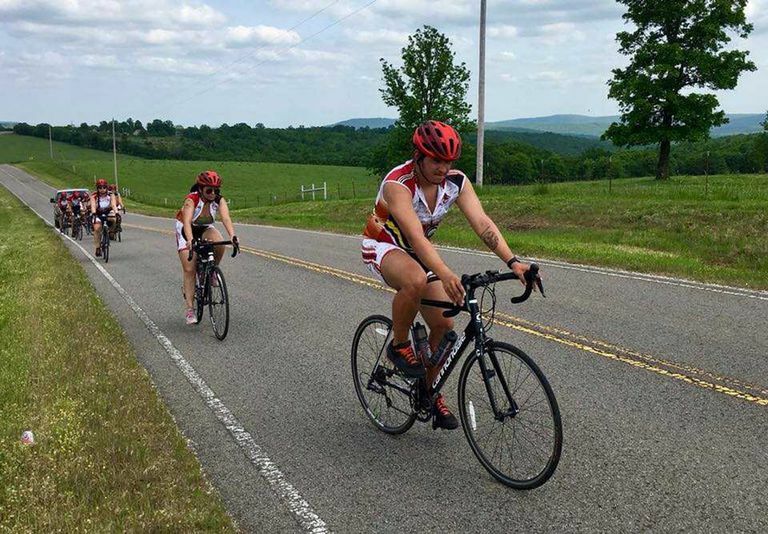 Daily rides vary in distance from 35-70 miles. Organizers built rest days into the schedule and have two support vans with trailers following along. On some days the team will camp, but riders will more often stay in hotels. All told, the ride generally takes about three weeks. Responses to "Cyclists of the Cherokee Nation Ride the Trail of Tears"